1) If you’re there, you’re the first responder. According to the document, Active Shooter: How to Respond, produced by the US Department of Homeland Security: Because active shooter situations are often over within 10 to 15 minutes, before law enforcement arrives on the scene, individuals must be prepared both mentally and physically to deal with an active shooter situation. What this means is, individuals on the scene of an active shooter event do not have the luxury of waiting for law enforcement. In 83% of active shooter incidences, the event is ended by force. If more individuals are trained to deal with these events, the shooter can be neutralized faster, saving lives. This is exactly what we saw on a train in France last year, when three US servicemen tackled an assailant armed with an AK-47, pistol and knife. No one was shot and likely dozens were saved. 2) Training builds confidence in your ability to do something, should it be necessary. Many instructors often talk about natural human responses to violence or impending violence, boiling it down to “fight or flight”. These responses, given the proper context, are great and are hard wired into our DNA. However, there is one “F word” missing: freeze. Without proper training to prepare us for the extreme stress that will accompany an attack such as this, freezing, not responding at all, is not only possible but also likely. By subjecting training participants to realistic training scenarios and establishing precedence for success in training, freezing is significantly less likely to occur. 3) Training creates “target-free zones”. According to Attack Countermeasures Training Institute, High Impact Targets typically share five characteristics: visibility, feasibility, predictability, complacency, and vulnerability. The profile of the mass shooter in the US is not one of a warrior. He is not someone looking for a fight but rather body count. He chooses an elementary school or a movie theater, because he wants (and expects) little to no resistance. If schools, companies, and individuals embrace and even publicize such training, such measures will go a long way to reducing or at least mitigating some or all of the five High Impact Target characteristics. If that happens, public places typically crowded with the most vulnerable members of our society will become less palatable to cowards looking to do damage. 4) You owe it to your family and your community. You likely have several or all of these: life insurance, car insurance, homeowner’s/renter’s insurance, dental insurance, health insurance, flood insurance, et al. You, your family, your co-workers, and anyone else that you regularly spend time with probably know what to do in the event of a fire or a tornado, for example. We spend considerable time and resources on events that may or may not happen; yet most schools and workplaces devote little to no time to dealing with violence. If you visit a school today, you will see fire exits, fire alarms, fire sprinklers, fire escape routes, and fire extinguishers. Every student will be drilled and well-versed on what to do in the event of a fire, even though no student has died in a public school in the US in the past 50 years. By contrast, almost no resources are devoted to dealing with school violence, even though between 2005 and 2010 alone (according to the CDC), 228 deaths, due to violence, occurred on school grounds. In other words, if not you, who? 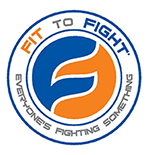 5) Run.Hide.Fight is a tagline, not a strategy. Thanks to the Houston Mayor’s Office of Public Safety and Homeland Security Department, most government entities and many private companies have access to a video titled “Run.Hide.Fight. Surviving an Active Shooter Event”. The video is well produced, and the concepts enumerated in it have been widely accepted, but it pretty much ends there. The real problem is, the overwhelming majority of us have known how to run and how to hide, since a very young age. Those are skills developed, honed, and encouraged in games and in sports. It’s the last one, “fight”, where we run into a bit of a problem. Not only do most of us not know how to fight, it has been discouraged and even prohibited throughout our lives. Now schools and companies have government agencies including it as one of three options when dealing with an active shooter event, but no one is training our teachers, principals, janitors, front desk personnel, students, or co-workers HOW to actually do it. With proper training, Run.Hide.Fight can be the difference in you, your family, your students, your co-workers, etc., surviving an active shooter event, or it can be a catchy tagline that offers a false sense of security, no more effective than locking the door or turning off the lights. The choice is yours. Ultimately, the only real variable you control in life is you and how you spend your time. For the most part, you cannot control whether you will be on the scene of something like an active shooter event. What you can affect, and the variable that is wholly within your control, is whether or not you spend a few hours to prepare for such an event, no matter how unlikely it is. In the grand scheme of things, maybe it is worth spending a little less time on Facebook, a little less time at the coffee house, a little less time binge watching, and giving just a few hours to learning a skill that could save one, two, dozens or even hundreds of lives.